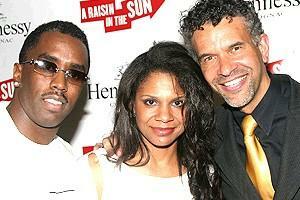 Audra McDonald and Brian Stokes Mitchell. A revival of Lorraine Hansberry's landmark drama A Raisin in the Sun opened on April 26 at the Royale Theatre... and what an opening it was! With the blinding star power of Sean Combs, Sanaa Lathan, Audra McDonald and Phylicia Rashad , you can only imagine the mammoth number of celebs that packed the opening night performance and party at Guastavino's. In fact, don't bother imagining... just look!